Salman Khan is definitely one of the busiest actors in the film industry. The actor is already busy with his upcoming action – thriller Race 3. He has also begun work on his next Bharat. Meanwhile, one of the most awaited projects of Salman Khan is Dus Ka Dum which is returning this summer. While we have been keeping the readers updated on the upcoming reality show, promos, and music video, it has now been learned when the show will finally return to the TV screens. As per a report in a daily, Salman Khan will begin shooting for Dus Ka Dum from May 17. A huge set has been erected at the Filmcity studios in Mumbai. From the reliable sources, we have learned that Dus Ka Dum will start airing from June 4. According to the earlier reports, Salman Khan will play as a trump card for the channel after IPL 2018 comes to an end. The show will have new elements but will retain its original essence. And who doesn’t want to hear Salman once again say, “Kitne pratishat Bharatiya chahte hai ki?” One interesting thing about the new season will be that there won’t be celebrity guests. The new season of Dus Ka Dum will be more interactive. 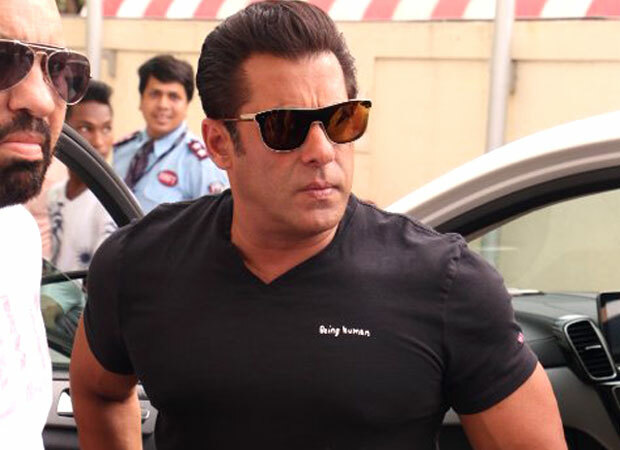 Meanwhile, Salman Khan just began shooting for Bharat. This film is a third collaboration with Ali Abbas Zafar after Sultan and Tiger Zinda Hai. The film will mark the return of globetrotter Priyanka Chopra. Besides this, Salman Khan will be seen in Race 3. The film also stars Jacqueline Fernandez, Anil Kapoor, Bobby Deol, Saqib Saleem, and Daisy Shah. Directed by Remo D’souza and produced by Salman Khan Films and Tips, Race 3 is slated to release on Eid 2018. When Salman Khan and Race 3 team will meet Dance Deewane judge Madhuri Dixit, the stage is going to Explode! Nope, It’s Not The Beckhams!